Blood found on pyjama bottoms belonging to a father accused of murdering his six-month-old son came from the baby, a trial heard this morning. John Tighe (40) of Lavallyroe, Ballyhaunis, Co Mayo has pleaded not guilty to murdering his son Joshua Sussbier Tighe at his home on June 1, 2013. He is on trial at the Central Criminal Court. John Hoade of Forensic Science Ireland told prosecuting counsel Paul Murray SC that he took blood samples from the pyjamas and compared them to blood taken from baby Joshua during post mortem. He said the DNA on the pyjamas matched that of Joshua. Further profiles taken from a babygrow also matched Joshua's blood, as did samples taken from stains found on the floor of the sitting room and a wall. 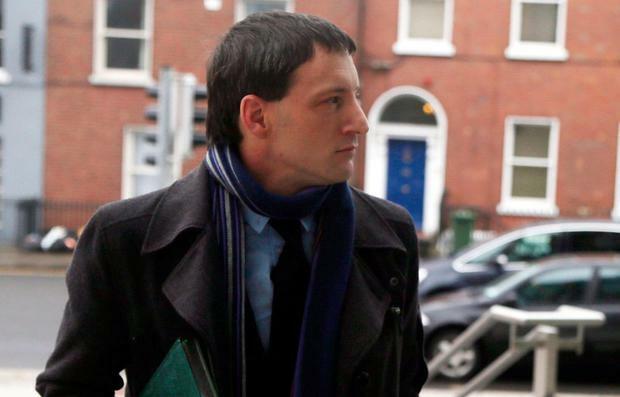 Mr Hoade agreed with defence counsel Mícheál P O'Higgins that if Mr Tighe held the baby while trying to help him, that would explain the presence of Joshua's blood on his pyjamas. The prosecution alleges that Mr Tighe murdered his son by placing a "bolus" of tissue in Joshua's throat, causing death by asphyxiation. Mr Tighe denies the charge. The trial continues this afternoon in front of Justice Patrick McCarthy and a jury of nine women and three men.